This will be a year of grim 50th anniversaries, because 1968 was an especially dark year. It was a year marked by war, riots and assassinations, by deep divisions and the death of dreams. No event shook the nation like King’s death in Memphis, which is preparing as well. When it was first proclaimed in 1976, Black History Month made sense. The stories of the struggles and achievements of African-Americans had gone untold for so long, why not encourage people, especially students, to learn about Harriett Tubman, Booker T. Washington, Frederick Douglass and, of course, Martin Luther King? The granddaddy of Confederate monuments sits outside Atlanta, where Robert E. Lee, Stonewall Jackson and Jefferson Davis are carved into Stone Mountain at the site where the second KKK was founded. A Democrat running for governor has called for the figures to be sandblasted off the face of the mountain, which seems unwise as well as unlikely. In his famous speech on the steps of the Lincoln Memorial, King said he dreamed of a time when America would “Let freedom ring from Stone Mountain of Georgia.” On the anniversary of King’s death, one Georgia legislator hopes to see thousands of people on top of Stone Mountain. Another is calling for a “freedom bell” to be built atop Stone Mountain in honor of King. 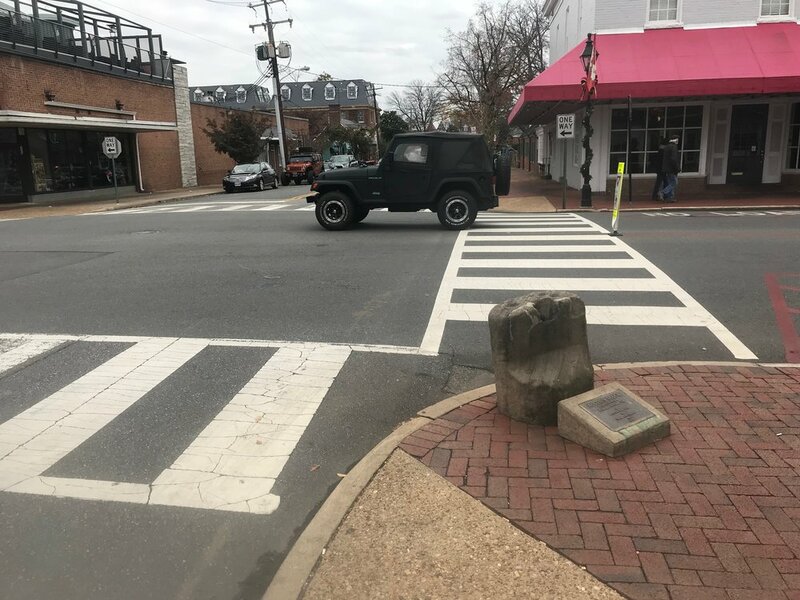 Fredericksburg, Va.: A plaque next to this small stone stump on a busy corner identifies it as the auction block for slave sales before the Civil War. Charleston, SC: The city's largest slave market is now a museum run by Charleston's city government. Memphis, Tenn.: An exhibit on the Memphis sanitation workers strike at the National Civil Rights Museum. Monticello, Va.: A reconstructed slave quarters at the home of President Thomas Jefferson. New Orleans, La. : A historic marker notes where one of the city's notorious "slave pens" was located. 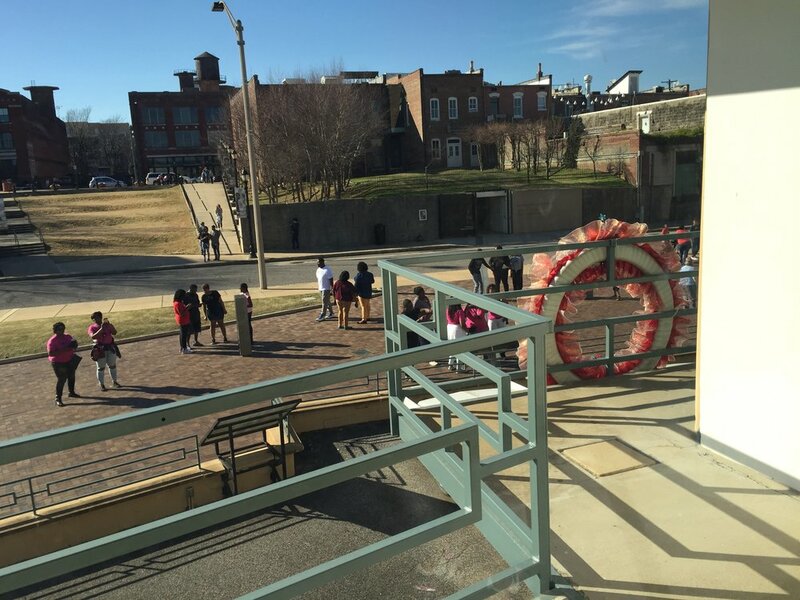 Richmond: A civil war museum now stresses the need for three perspectives: the North, the South, and the African-Americans. Selma: A recently erected plaque near the Edmund Pettus Bridge, site of the 1965 "Bloody Sunday" violence. Spotsylvania, Va.: Exhibits now stress that while the advance of Union troops were devastating for Southern landowners, it meant liberation for thousands of enslaved people.